Match Group stock fell 10% 2 weeks ago in response to falling short of analysts’ Q4 goals, which were released along with their third quarter earnings reports. Match Group reported revenue of $444 million, topping analyst estimates of $437 million for quarter 3. This is an increase of 29% when compared to quarter 3 of 2017 ($343 million). Match said it expects revenue of $1.72 billion for the year. But despite the growth and positive news, it was the projections for the last quarter which caused the dip in confidence from Wall Street. 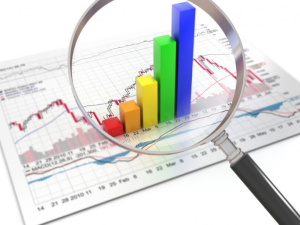 Analysts projected $454.5 million in Q4, while Match Group estimates it will only reach between $440 and $450 million. Match Group lowered its estimates because of its higher-than-anticipated spending for Tinder and its other dating apps. Marketing costs are expected to rise 20% for Tinder and other brands like Hinge. Is the end in sight for the legal battle between Match Group and Bumble? According to documents filed in Texas last month, Bumble is looking to drop its $400 million countersuit against Match Group, which alleged Match interfered with its business operations, fraudulently obtained trade secrets, and intentionally tried to make Bumble less appealing to other potential acquirers. The countersuit was filed in response to a lawsuit from Match that claims Bumble infringed on several patents related to Tinder. Initial attempts to settle failed and the war appeared poised to rage on, but a statement released by Match Group in early November indicated that Bumble will drop its lawsuit. A notice of non-opposition filed by Match confirms the company’s intent to support Bumble dropping its claims, provided the court issues declaratory judgments validating Match’s patents and Bumble’s alleged infringement of them, and absolving Match from allegedly stealing Bumble’s trade secrets. There’s no sign of a slowdown in the legal battle between Tinder co-founder Sean Rad and Tinder’s parent company, IAC/Match Group. IAC is now fighting back with a motion to dismiss the lawsuit, filed on October 9, which claims that Rad “fully participated in the valuation process” of Tinder and shares responsibility for the company being undervalued. Though IAC failed to accurately predict Tinder’s success over the past year, the motion argues, Rad also failed. Tinder has already secured its place in the zeitgeist of the 2010s, but its latest launch promises to make the notorious dating app an even more inescapable part of pop culture. Senior Director of Content Kelsey Blodget announced Tinder’s new venture in an interview with Cheddar: an online magazine. 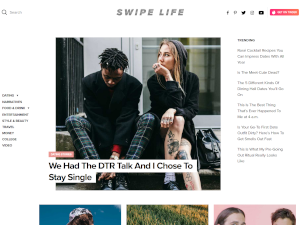 The newly debuted lifestyle site has been christened Swipe Life. The content covers a range of subjects relevant to modern day daters with a focus on issues that are pertinent to 18-25 year olds, the primary demographic of the dating app. A full-time editorial staff and a team of freelance writers have been brought on to keep the digital publication up to date. The online dating market is hot right now and projected to grow to $12 billion by 2020. This is in part thanks to bullish analysts targeting a price point of $66 for Match Group stock, based mostly on the incredible revenue growth of Tinder. This projection by Nomura Instinet came on the heels of a downward market in early October. Match Group stock was projected to be 28% higher than what it was worth on Thursday October 11th before the announcement. The $66 valuation gave Match Group a bump on Friday. 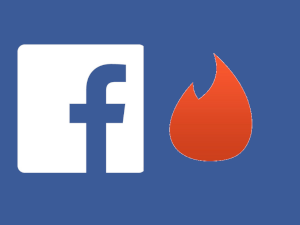 Facebook’s entry into the online dating market could have an effect on these projections, though Nomura Instinet analysts say the valuation is based on Match Group’s effective strategy of buying competitors before they scale. Most particularly, Match Group was very successful in its purchase of dating app darling Tinder, which has seen unexpected revenue growth since launching its paid premium service Tinder Gold. Tinder users can breathe easier this week. Following the Facebook hack that compromised 50 million user accounts, Tinder has announced there is "no evidence” to suggest its own accounts have been breached as a result. On Friday, September 28, news of the hack broke. An unknown attacker, or attackers, exploited a weakness in the social network’s systems to take over millions of accounts, gaining access to their profiles, photos, friend lists and, possibly, private messages. More than 90 million users were logged out of their accounts by Facebook as a precaution, including the accounts of company CEO Mark Zuckerberg and COO Sheryl Sandberg. It is one of the most significant cyber attacks in Facebook’s history. "We do not yet know whether these accounts were misused but we are continuing to look into this and will update when we learn more," Facebook CEO Mark Zuckerberg said in a blog post published on Friday.